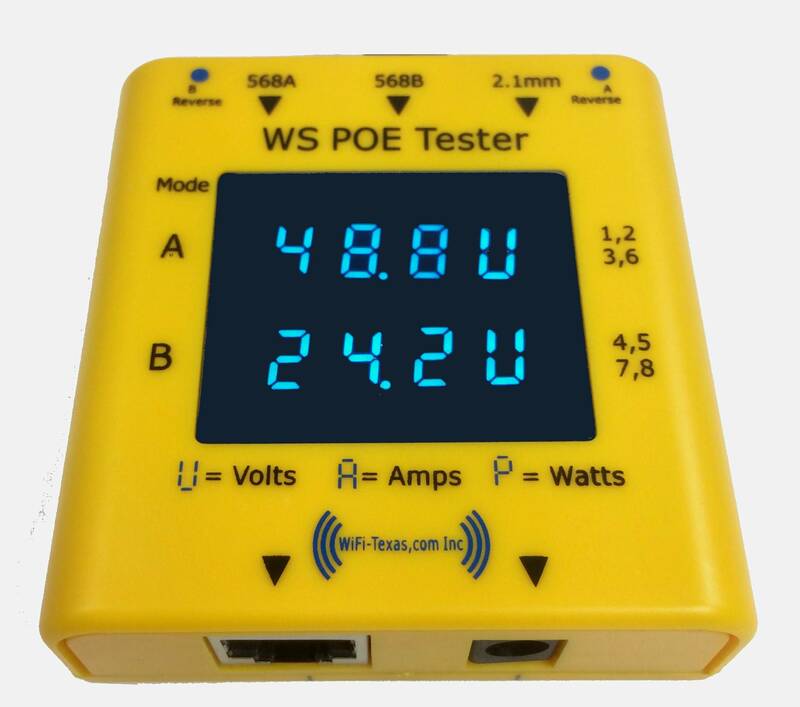 This PoE calculator by PoE-World will calculate the total power required for any device including cable loss by any type or length of cable, over Ethernet or not, it calculates the voltage drop and power required by both the device and the loss in the cable. Cat-5e and Cat-6 cable is sold in pure Copper and in Copper / Aluminum alloy ( Cu/AL ) variations. Cu/Al has higher resistance, so the loss is greater. There is also extremely low cost cable that uses thinner 28 AWG wire on the 45 and 78 pairs, resulting in high loss. Since a device is spec'd for power consumption over a range of input voltages, as the remotely delivered voltage decreases with distance, the amps increase, causing the delivered voltage to decrease further. 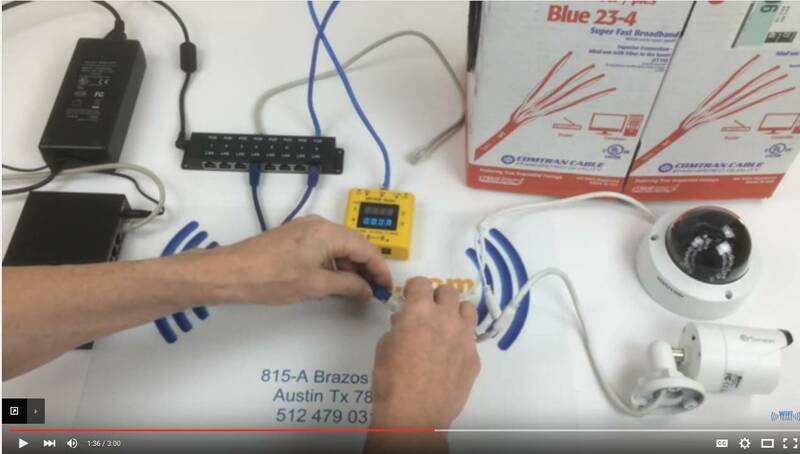 This Voltage Drop Calculator can be used for any type of wire and gauge. Unlike other calculators - you can enter the power required by the device in order to calculate total power including the effects of voltage drop and line loss. It will calculate and display the max cable distance, and is easier to use than a basic voltage drop tool.